Christmas has come and gone, but the NBA goes on for punters. 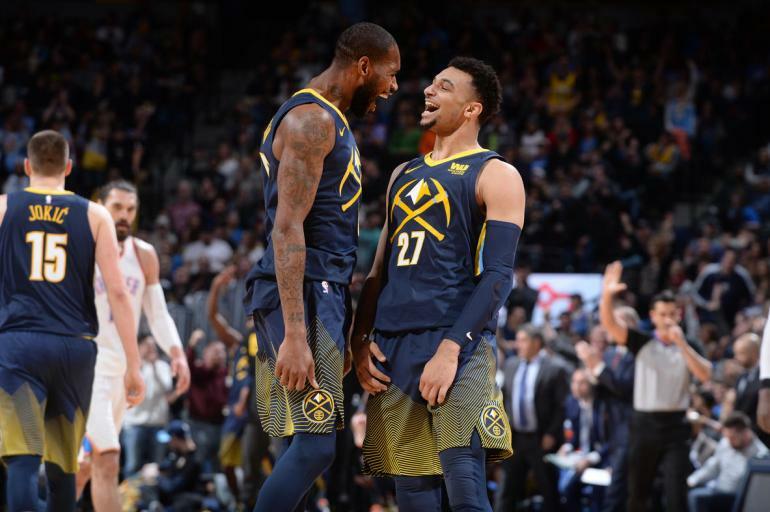 The Nuggets have continued to surprise, but it’s the Heat that have been cashing in recently. He’s the heart and soul of any potential Lakers success so when LeBron James went down, hearts sunk. When he said “I heard it pop”, Lakers fans feared for the worst. Luckily, scans on James’ groin came back negative and he has since been listed as day-to-day. The Lakers have lost back-to-back games since James went down proving just how important he is. That makes it 13 losses on the trot for James-led teams when he’s injured. They now look break the streak as $1.78 and -1.5 favourites against the Kings. Our traders can’t split Anthony Davis, Kawhi Leonard and Rudy Gobert on the first line of betting of the Defensive Player of the Year market. All sit at $4.50 with the market wide open. The play of Davis’ Pelicans won’t help his case. They are 16-21 with their 112.5 defensive rating ranking 24th in the NBA. Leonard has already missed nine games to start the season – many due to rest. Too many more and he will effectively sit out the award for this year. It’s Gobert that deserves the most consideration. The Jazz are slowly starting to find their groove (18-19) and the improvements have come on the defensive end. At 106.1, Utah’s defensive rating ranks 5th in the NBA. We were surprised to see the Nuggets at number one in the West as Christmas approached. It now looks as though they’ll be there to ring in the new year. Many expected injuries to cripple them, but they’ve kept winning and now Paul Millsap is back. Our traders kept firm at $41 for weeks but have finally started to buy into the Nuggets. They now sit at $34 to win the NBA championship. The Kings sit at the top of the NBA ATS rankings, but it’s the Heat making the most noise for punters. They’ve covered the spread in each of their last seven games. They’ve now got -4 to cover against the Timberwolves today. It’s a different story for the Raptors in their last seven games. Toronto has covered just once while losing two games as favourites straight up.